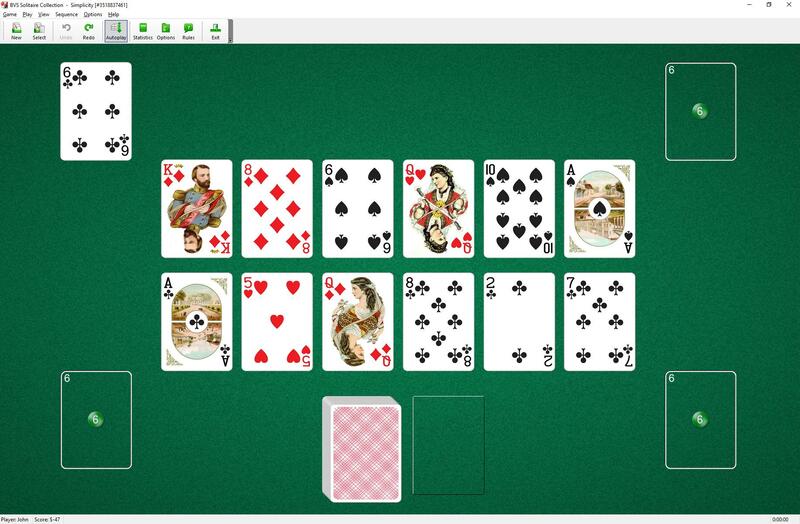 Simplicity Solitaire uses one deck (52 cards). You have 12 tableau piles. One card is dealt to each pile at the start of the game. 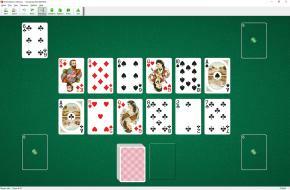 The next card is dealt into the top left corner of the board. This will be the starter card of the foundations. The three other cards of the same rank, when they become available, are placed in the remaining corners of the board. The top cards of tableau piles are available to play on the foundations. You may build tableau piles down in sequence and alternating color.